Rail is on a roll in the U.S. As Forbes(Feb.10, 2014) writes, “The relic of the 19th century will become the most important logistics system of the 21st century.” Thanks to leaps in technology, more and more freight traffic has moved from roads to rails, where trains can move one ton of goods about 500 miles on a single gallon of fuel. The industry, so recently an aging also-ran in the age of superhighways, has seen revenues surge 19% to $80.6 billion since 2009, creating 10,000 new jobs at railroad companies. Less than a decade ago diesel prices were so low that manufacturers rarely considered rail for shipments of less than 1,000 miles. 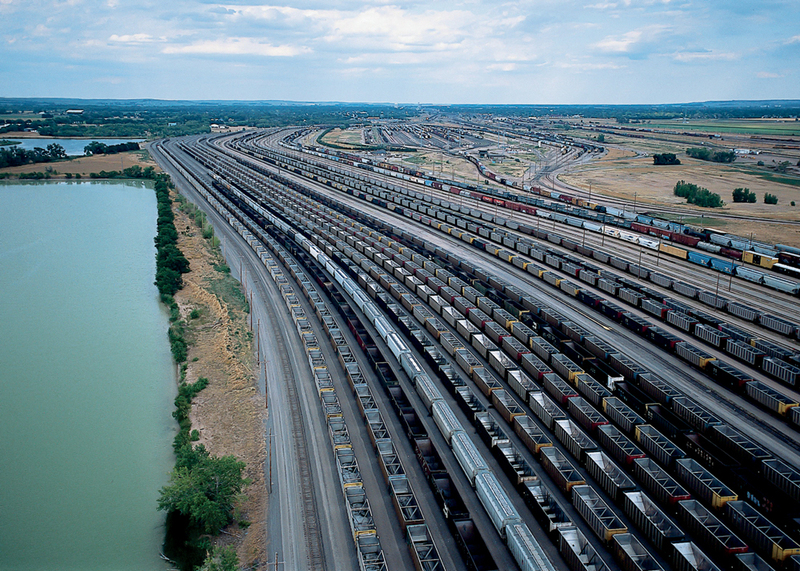 Now they’re ditching trucks in favor of trains for jobs as short as 500 miles. All of which is driving a multibillion-dollar revival in rail R&D and infrastructure, investment unseen in America since the transcontinental railroad. Thousands of new state-of-the-art locomotives–far more fuel-efficient and less polluting than the ones they replace–are now operating on U.S. railroads. And the boom (with $20 billion in infrastructure spending annually) has been underwritten by industry, with no cost to taxpayers. Further, the Rail Safety Improvement Act of 2008 required railroads to fund, build and implement a new, safer “Positive Train Control” system by the end of 2015, refitting locomotives and tracks, and placing GPS devices on every locomotive. This technology has been revolutionizing freight hauling, allowing the railroads to pinpoint a locomotive’s location within one yard. And instead of sending trains speeding across the country only to stop at each red signal, the new system means conductors will be able to know about planned stops well in advance, allowing them to simply reduce speed (and fuel consumption) to a level that won’t force them to stop altogether and burn major amounts of fuel when restarting from a standstill. This entry was posted in Domestic Business, Manufacturing, Wholesale Distribution. Bookmark the permalink. ← U.S. Factory Jobs are Gone?